To encourage development within and near existing communities and public transit infrastructure. To encourage improvement and redevelopment of existing cities, suburbs, and towns while limiting the expansion of the development footprint in the region. To reduce vehicle trips and vehicle distance traveled. To reduce the incidence of obesity, heart disease, and hypertension by encouraging daily physical activity associated with walking and bicycling. Either (1) locate the project on a site served by existing water and wastewater infrastructure or (2) locate the project within a legally adopted, publicly owned, planned water and wastewater service area, and provide new water and wastewater infrastructure for the project. The site should also meet the requirements of one of the following four options. Locate the project on an infill site. Locate the project on an adjacent site (i.e., a site that is adjacent to previously developed land) where the connectivity of the adjacent land is at least 90 intersections per square mile (35 intersections per square kilometer) as measured within a ½-mile (800-meter) distance of a continuous segment of the project boundary that constitutes at least 25% of the total project boundary and is adjacent to previous development. Existing intersections may be counted if they were not constructed or funded by the project developer within the past 10 years. Locate and/or design the project such that a through-connection (of the circulation network) intersects the adjacent portion of the project boundary at least every 600 feet (180 meters) on average and at least every 800 feet (245 meters), connecting it with an existing circulation network outside the project; non-motorized through-connections of the circulation network may count for no more than 20% of the total. The exemptions listed in NPDp3 Connected and Open Community do not apply to this option. Locate the project on a site with existing or planned transit service such that at least 50% of dwelling units and nonresidential use entrances (inclusive of existing buildings) are within a ¼-mile (400-meter) walking distance of bus or streetcar stops, or within a ½-mile (800-meter) walking distance of bus rapid transit stops, light or heavy rail stations, or ferry terminals, and the transit service at those stops in aggregate meets the minimums listed in Table 1. The relevant transit agency has a signed full-funding grant agreement with the Federal Transit Administration (or equivalent national agency for projects outside of the U.S.) that includes a revenue operations date for the start of transit service. The revenue operations date must be no later than the date by which 50% of the project’s total building gross floor area will be occupied. For bus, streetcar, bus rapid transit, or ferry service, the transit agency must certify that it has an approved budget that includes specifically allocated funds sufficient to provide the planned service at the levels listed above and that service at these levels will begin no later than the date by which 50% of the project’s total building gross floor area will be occupied. A state legislature or local subdivision of the state (or a local government for projects outside the U.S.) has authorized the transit agency to expend funds to establish rail transit service that will begin no later than the date by which 50% of the project’s total building gross floor area will be occupied. A local government has dedicated funding or reimbursement commitments from future tax revenue for the development of stations, platforms, or other rail transit infrastructure that will serve the project no later than the date by which 50% of the project’s total building gross floor area will be occupied. 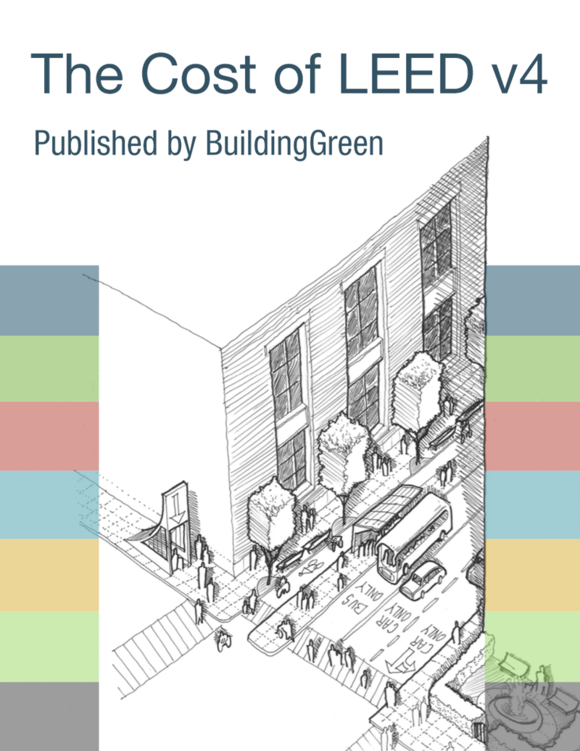 Include a residential component equaling at least 30% of the project’s total building gross floor area (exclusive of portions of parking structures devoted exclusively to parking) and locate the project near existing uses (see Appendix 1) such that the project boundary is within a ¼-mile (400-meter) walking distance of at least five uses, or such that the project’s geographic center is within a ½-mile (800-meter) walking distance of at least seven uses. The uses accessible to the project must represent at least two categories.